Essential Killing, the new film by Polish director Jerzy Skolimowski, starring Vincent Gallo and Emmanuelle Seigner, will be finished just in time for Venice. This is the last title, presented in its world premiere screening, in Competition at the 67th Venice International Film Festival. The 67th Venice International Film Festival will take place on the Lido from September 1 through 11 2010, directed by Marco Mueller and organized by la Biennale di Venezia, chaired by Paolo Baratta. Essential Killing is a provocative thriller (almost entirely without dialogue) that confirms the excellent form of the enfant terrible of New Eastern European Film, Polish director Jerzy Skolimowski. The film tells the story of an Afghan man, captured by American forces in Kabul, who finds himself transported to a nameless European country. He manages to escape into the vast frozen woodland, a world away from the desert home he knew. Forced into extreme survival mode, he must kill anyone who strays into his path. 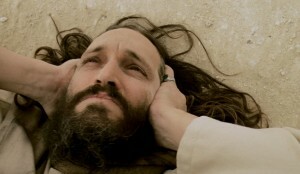 Vincent Gallo is the lead in Essential Killing, with French actress Emmanuelle Seigner (The Diving Bell and the Butterfly – 2007, La Vie En Rose – 2007, The Ninth Gate – 1999). The script was written by Skolimowski and Ewa Piaskowska, and produced by Skopia Film. Essential Killing is a Polish/Irish/Norwegian/Hungarian co-production, with the involvement of the Polish Film Institute and Canal + Cyfrowy, Ireland’s Element Pictures, Cylinder Productions in Norway, Hungary’s Mythberg Films, and the support of Eurimages. HanWay Films is handling international sales. Essential Killing sees the Polish director reunite with Jeremy Thomas, who in 1978 produced his film The Shout, which went on to win the Grand Prix of the Jury at Cannes. 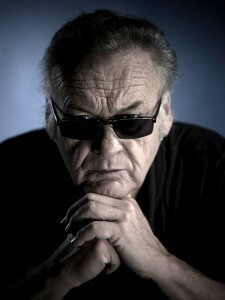 In recent years, Jerzy Skolimowski has participated several times in the Venetian Festival: as director he successfully presented Na samym dnie (Deep End, 1970), The Lightship (in competition at the 42nd Venice Film Festival in 1985 and Special Jury Prize), and Ferdydurke (1991, in competition at Venice 48). In 2001 he was a member of the Venice 58 international jury, but he also starred in the film Zakonnica, and was the director of the film Oko Wykol, both presented in the retrospective dedicated that year to Andrzej Munk. In 2000 he was in the cast of Before Night Falls, directed by Julian Schnabel and presented in Competition at Venice 57. Jerzy Skolimowski (Lodz, 1938), Polish director, scriptwriter, and actor, had his artistic training with Andrzej Wajda and Roman Polanski. In his early youth, he collaborated with Wajda on the screenplay of Niewinni czarodzieje (Innocent Sorcerers, 1960) and with Polanski on the screenplay of Knife in the Water (Nóz w wodzie, 1962), a film-manifesto of new Polish cinema. A witness of two different worlds and cultures, constantly balanced between Eastern and Western Europe, Jerzy Skolimowski has directed over twenty films, winning the highest acknowledgments in the most important international festivals, including the Golden Berlin Bear for Le départ (1967) and the Award for Best Screenplay at Cannes for his black comedy Moonlighting (1982). As an actor Skolimowski also starred in Eastern Promises (2007) by David Cronenberg. In 2008 he presented at Cannes Festival Four Nights With Anna, a much appreciated “return to his origins”. Vincent Gallo gained attention for his standout performances in Arizona Dream (1993) by Emir Kusturica and Palookaville by Alan Taylor (presented in the Corsia di Sorpasso section at the 52nd Venice International Film Festival in 1995). In 1998 he wrote, directed, and starred in the indie favourite Buffalo 66. Cast as the protagonist in Francis Ford Coppola’s Tetro, presented at the Quinzaine des Réalisateurs at Cannes in 2009, this year Vincent Gallo comes back to Venice as a director with his film Promises Written in Water, in Competition, and with the short film The Agent, presented in the Orizzonti program line.